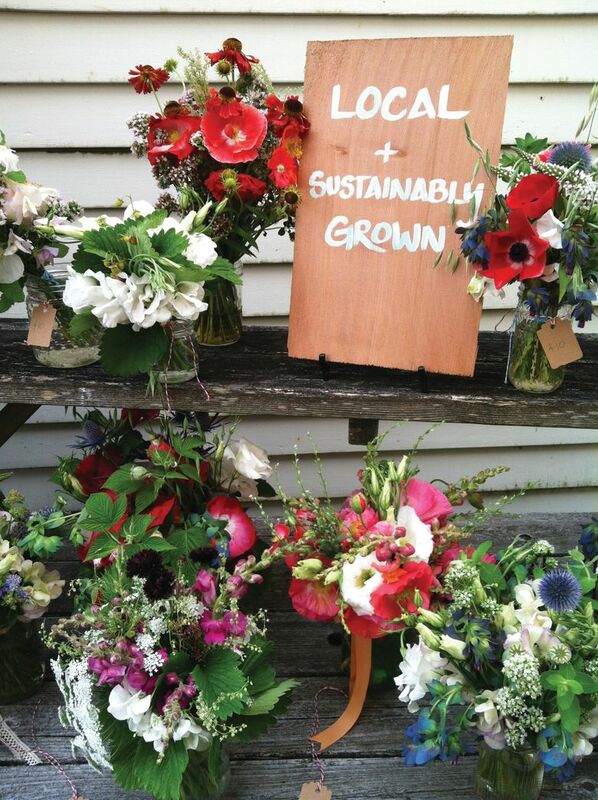 Natural Gardener columnist Valerie Easton spoke with flower farmers in the Snoqualmie and Skagit valleys, and on Whidbey Island, about what they’re planting and what we’ll be seeing in wedding bouquets, vases and gardens. WHAT BETTER to dispel late winter doldrums than visions of vases filled with fresh flowers? I spoke with flower farmers in the Snoqualmie and Skagit valleys, and on Whidbey Island, about what they’re planting this spring. “Of course we’re trying new things this year, we always do,” says cut-flower powerhouse Diane Szukovathy of Jello Mold Farm. She and her husband, Dennis Westphal, have four acres under cultivation in the Skagit. Most of what Jello Mold Farm produces is sold through the Seattle Wholesale Growers Market. 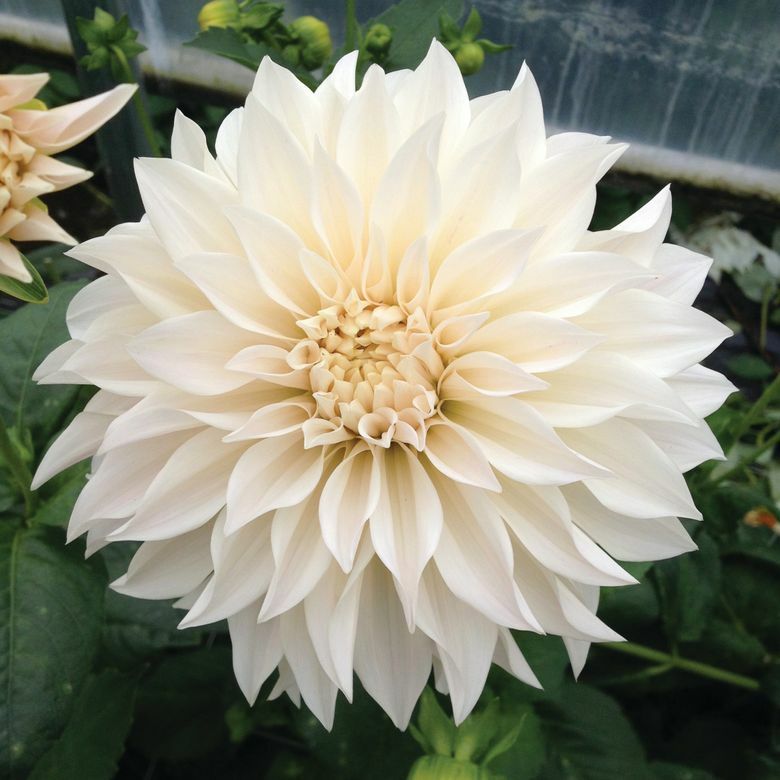 Dahlias are a specialty, and Jello Mold is introducing a new extra-pale strain of the silky, sumptuous ‘Café au Lait’ dinner-plate dahlias. They’re planting 37 new varieties this spring, many of them, like the deep red ‘Envy’, in rich jewel tones. Szukovathy grows a bounty of sweet peas, including ‘White Frills’, scarlet ‘David Unwin’, and pale blue ‘Our Harry’. Another old-fashioned favorite is columbines, especially the “granny’s bonnet” types that bloom at Mother’s Day. “A number of us passionate, locally minded flower farmers think the carnation needs a fresh start,” says Szukovathy, who grows the most fragrant varieties, such as ‘Raspberry Ripple’ and ‘King of the Blacks’. This spring, Anderson is planting Scabiosa atropurpurea ‘Black Knight’ and ‘Scarlet’ because they smell of honey, and their seedpods are as pretty as their flowers. She’s growing German chamomile (Matricaria recutita) that blooms all summer and has large flowers, for a chamomile. Other favorites are ‘Bronzed Beauty’ calendula in tones of caramel and muted orange, the tiny-flowered, deeply-colored marigold ‘Paprika’ and the gangly, sweet-smelling flowering tobacco Nicotiana alata x mutabilis with its mix of blush pink and white flowers. Anderson uses the marigold and chamomile in the kitchen at London Plane, as well as for bouquets. Melissa Brown started Flying Bear Farm on Whidbey Island with her husband, Ben, just last year. They’re busy expanding their quarter-acre in cultivation to 2½ acres of flower fields. Brown designs for weddings, and sells flowers to other island florists and at farmers markets. She swears by the intensely fragrant heirloom sweet pea ‘April in Paris’, a creamy beauty trimmed in lavender. She also grows ‘Windsor’, a Spencer type sweet pea with large, mahogany colored blooms. She loves ‘Earl Grey’ larkspur for its unusual, dusky lavender — gray coloration, and for how well it dries. What’s more useful in bouquets than a fluffy green filler flower? Brown grows ‘Pride of Gibraltar’ cerinthe for just this purpose, describing it as “prolific and long-lasting.” Add snowy ‘Bridal Veil’ nigella and the dark-leafed ‘Black Prince’ snapdragon with velvety crimson blooms, and soon enough Brown will be filling her new acreage with a stunning mass of foliage and flower. Despite little overlap in what these farmers are planting, each has gone over to the dark side. Sounds like we’ll be seeing plenty of richly colored flowers in deep tones like burgundy, bronze and near-ebony this year in wedding bouquets, vases and gardens. Valerie Easton is a Seattle freelance writer. Reach her at .